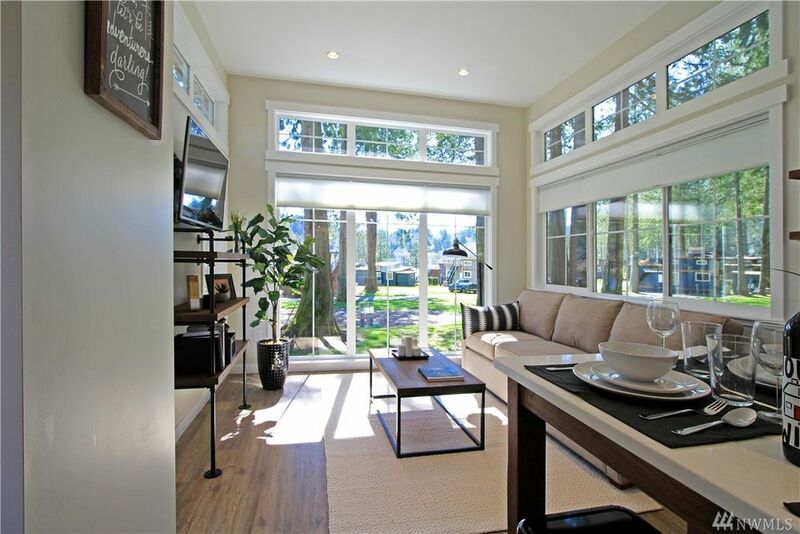 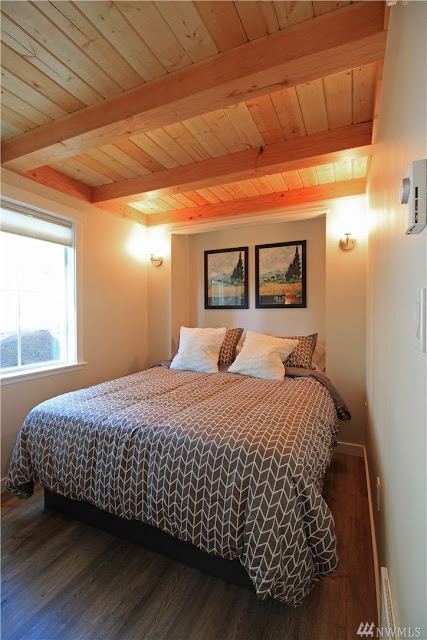 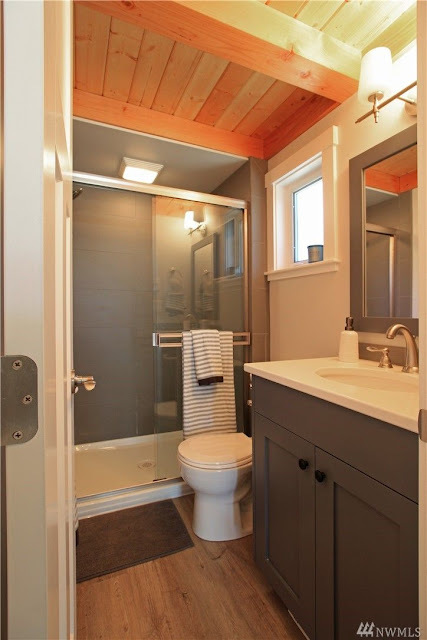 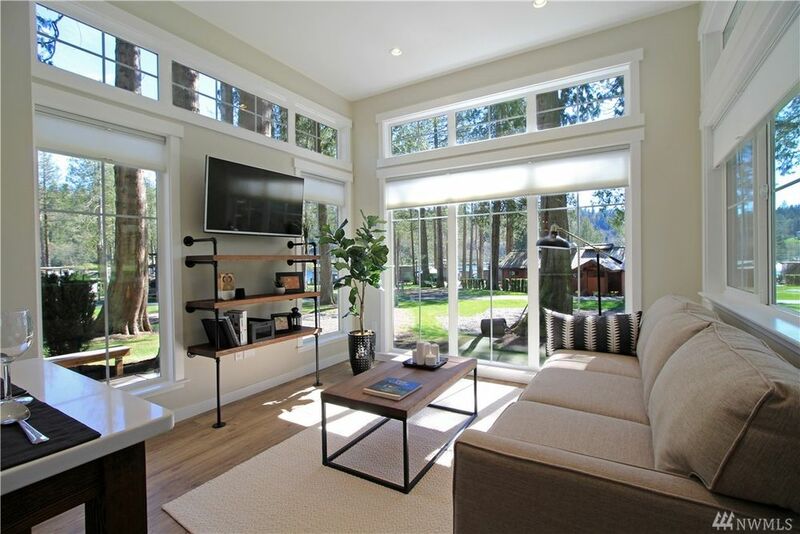 Try out luxury park model living with the Salish; a new addition to Wildwood Lakefront Cottages. 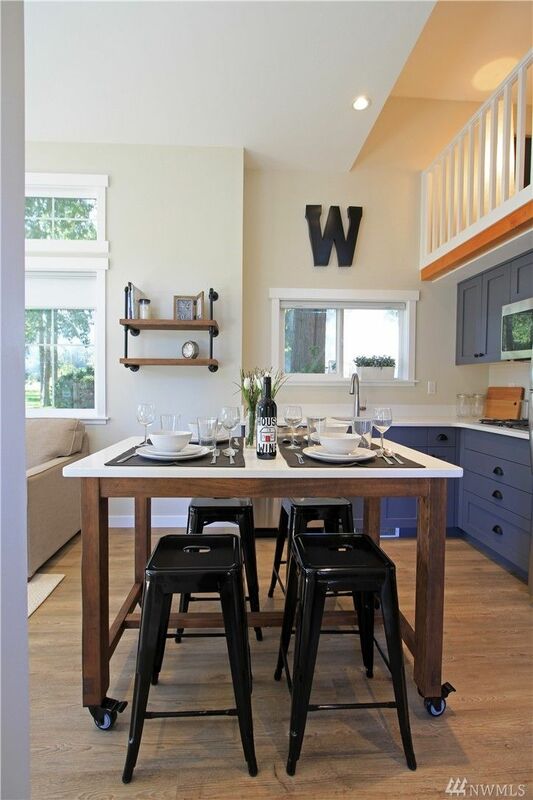 Wildwood Cottages is a new development on Lake Whatcom in Washington, about half an hour north of Bellingham. The site, formerly a campground, is now being transformed into a new luxury vacation resort. The Salish is for sale for $312,500, plus an additional $127 monthly resort fee. 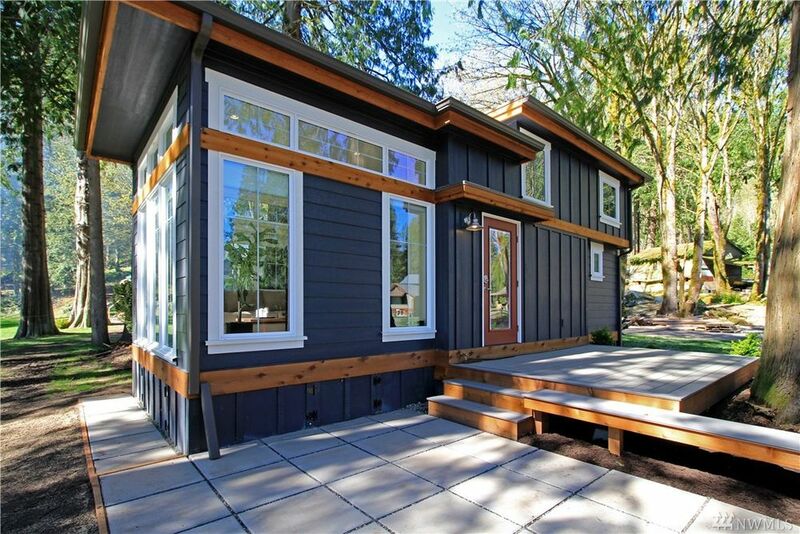 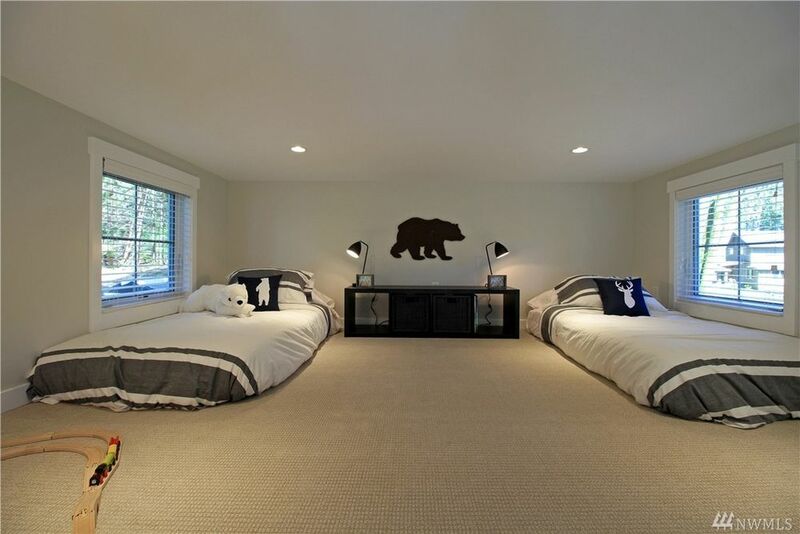 The price may be a bit steep, but the house is undeniably stunning. 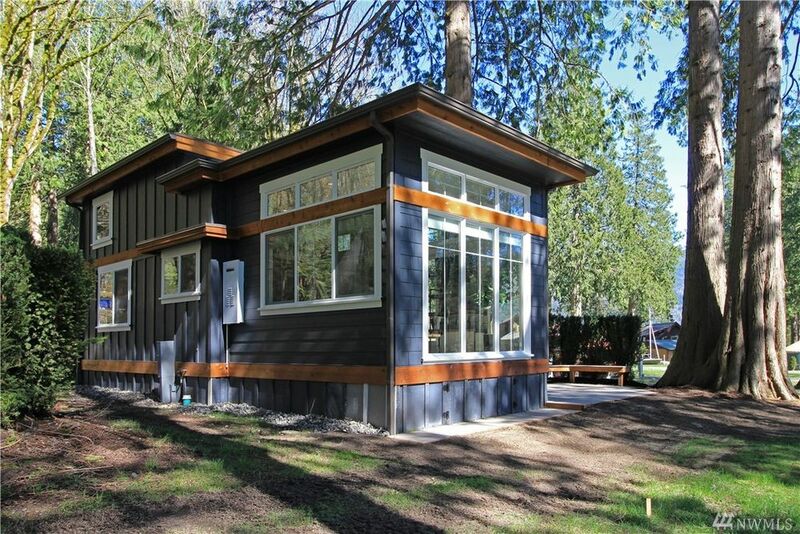 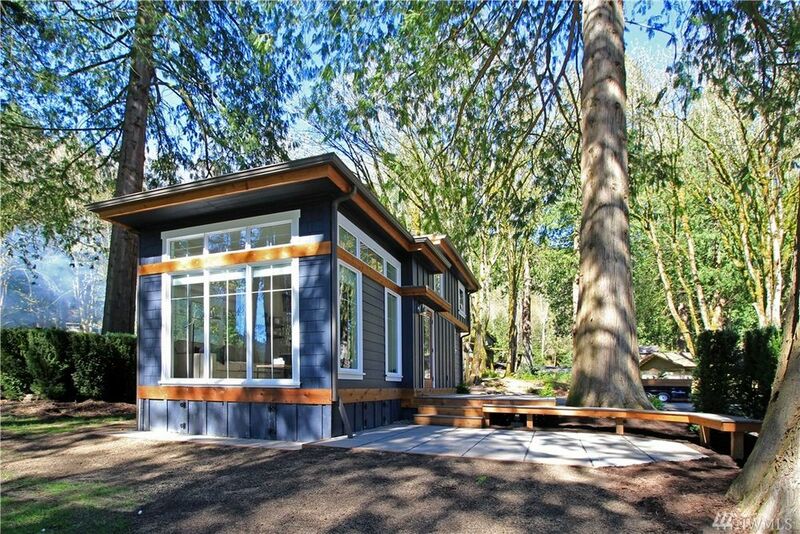 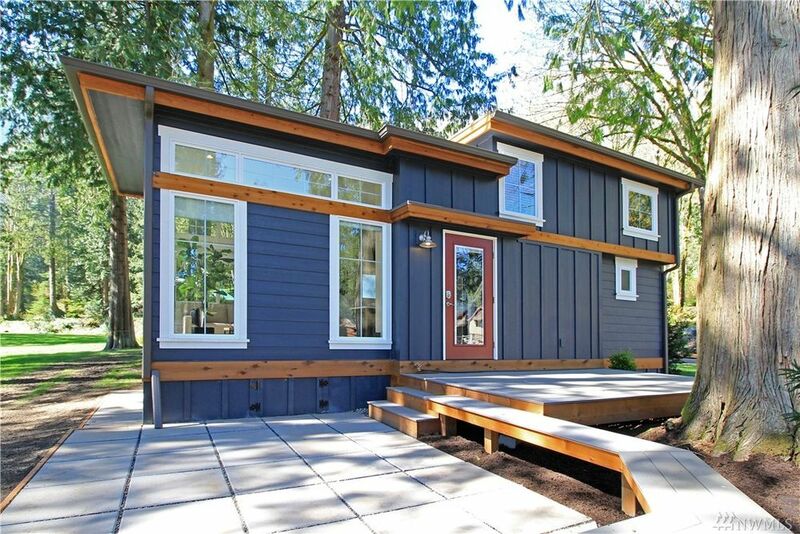 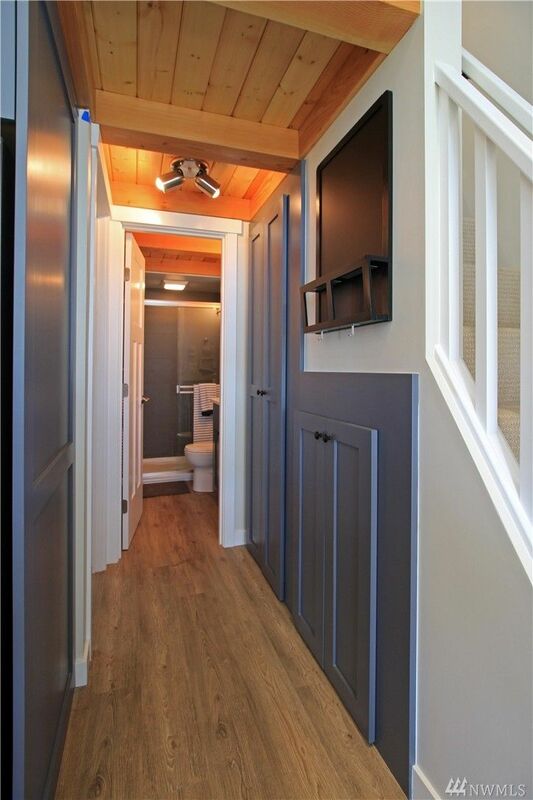 It measures 399 sq ft and features a cabin-style exterior with a modern interior. 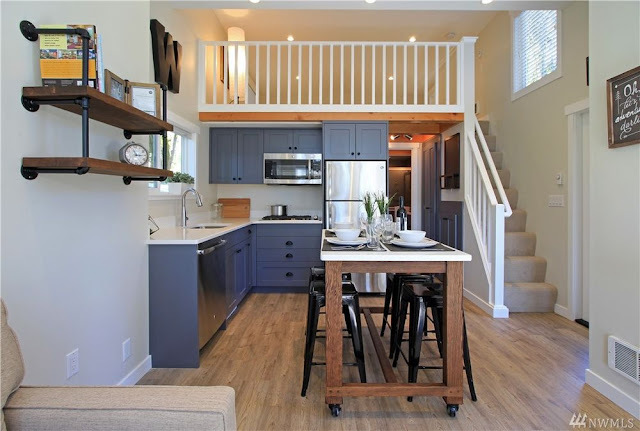 Inside the home you'll find a full kitchen large enough for full-sized appliances, a bedroom, full bathroom, a living room, and a loft space.